Due to a lack of reputable mechanics, widespread service centers and aftermarket parts, some out of warranty Tesla owners are left with no choice but to try and fix their cars themselves. 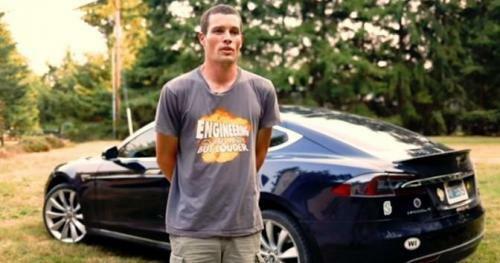 Such was the case of Model S owner Greg Furstenwerth, a self described "Tesla fan". 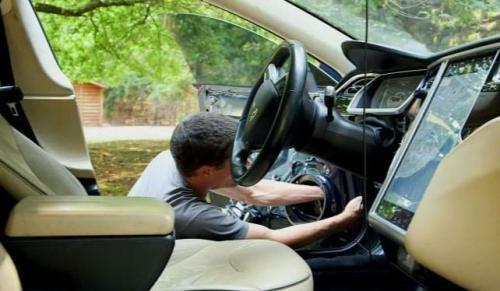 CNBC detailedhis journey through repairing his own out of warranty Tesla when the company "treated him like [he] didn't own a Tesla" after his warranty ran out. Furstenwerth was one of the first Model S owners, pre-ordering in 2013. He was even one of the first in the state of Hawaii to own a Tesla. Like some fans of the company have done after buying their Teslas, he even undertook a cross-country journey to prove that the world did not need gas powered vehicles and that there was nothing to be anxious about regarding the vehicle's range capabilities. "Those were the golden years", according to Furstenwerth. While the Model S was under warranty, he shared his experience in dealing with Tesla service, which was positive. The interactions with the company were plentiful. "Tesla used to call me," he told CNBC. "They'd tell me, 'hey we noticed that there's something going wrong with your car.' Or when I had my flat they did their courtesy roadside service. They really took care of me, actually, as an original preorder." But when the warranty ran out, so did the personal attention: "...as soon as I exceeded my warranty, the interactions all went away. I was treated like I didn't really own a Tesla," he told CNBC. Because he was one of the first to have faith and purchase a Model S, he is now being "rewarded" by being one of the firsts who will need to get repairs done to his Tesla while it is not covered under warranty. The number of customers that are falling out of warranty, like Greg, will increase in coming years. Greg claims that after he fell out of warranty and needed repairs, the company would not offer him a loaner car or a mobile mechanic to help him when he needed to find a service center outside of Seattle, where he lived. His next quest was to try and find independent mechanics, but he soon found out that there were very few who were willing and able to work on the Model S. He found out along the way that there are only a few mechanics who can fix the Model S, and they generally do it by buying scrap Model S cars and salvaging parts or reverse engineering parts using 3D printers. This is apparently because Tesla doesn’t make spare parts, diagnostic tools or repair manuals readily available to people trying to perform service on their cars. And due to the modest size of the car fleet, there is also a surprisingly small aftermarket for Tesla parts. So Furstenwerth was forced to take it upon himself to figure out how to fix his car on his own. He learned by "taking it apart and putting it together several times" while at the same time visiting online forums that offered suggestions. He was able to find some parts online, but it was tedious work trying to track them down individually. Among his problems since 2013 have been "leaking tail lights, failing door handles, a passenger window behind the driver that fell out of place and faulty wiring in his driver's side door," according to the article. The process was so painful for him that at one point he even "considered destroying the car". The original article includes video showing Furstenwerth disassembling and reassembling his own Model S.
In terms of quality, Furstenworth claims that when he finally got his Tesla open, it was built like a "lego car" and that disassembling and reassembling it was "like putting together legos [and] taking apart legos". "If you can put together Legos you can put together a Tesla Model S," he told CNBC. "I want to see Tesla wildly succeed," he says. "I have no problem with them being vertically integrated, and running things the way they do for cars that are in warranty. But if they want to get in the mass market, unless they're gonna run every single service center in every single small town, there's no way it's acceptable to have people for minor issues drive and kill an entire day to go to the service center, just for some free Keurig coffee." We can imagine that the reaction of other Tesla owners who aren't such vehement fans, will be far less supportive.